In the past year hotel brands and marketers have seen social media channels such as Facebook, Twitter and Foursquare become the new customer service forum for consumers. When a consumer has a positive or negative experience at a hotel, one of the first things they want to do is rant or rave to their peers. It’s clear that social media channels present the ideal atmosphere to do just that, and brands now have an ear to their customers in a powerful new way that they have never had before. They have the ability to hear from guests in real-time and make instant reactions to each customer request. That is an amazingly powerful tool that can make a good company a great company – and in the end can increase brand quality, brand loyalty, repeat hotel guests, and increased revenue! Speed: The key is to respond to the post, tweet or comment as fast as possible – ideally within 2-4 hours, but if that is impossible due to time-of-day or resources than 24 hours is a good benchmark. Direct Contact: If a problem arises and it is not an easy fix, contact them and say that you will be helping them to come up with solution. 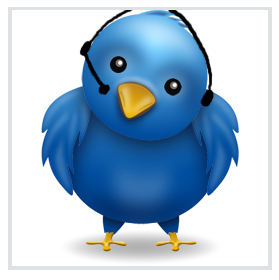 Acknowledge their post/tweet to ensure they know the company is aware of the situation and is trying to resolve it. Exclusivity: Setup a “secret” email address that is only released to customers who have a problem that may take some time to resolve. Communicating through this email address will make them feel that their issue is special and they are getting unique attention to make things better. Thanks: Create a special rate code that is released to your VIP customer service users (both negative users that you’ve resolved, and positive users) and give that out as a “gift” thanking them for their feedback. The rate could be small, only 5% BAR but it will make user feel special and encourage negative users to give the company another chance. 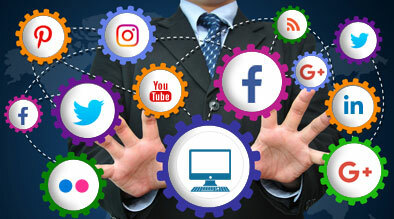 In addition to setting up your customer service team and daily process to monitor and reply to social media users, you can also create tangible goals and tracking measures to determine if your efforts are “working” to better the brand reputation and company revenue. Measure these KPIs on a monthly basis. Your social media team members should create a daily log or checklist and then compile a monthly at-a-glace report. Time: What is the average response time? Complaints: How many negative complaints did you receive? Praise: How many positive comments did you receive? Call Center Issues: How many phone calls were received about problems? The goal is to get this down over time as you continue to address customer service topics on social media channels. Classify the Complaints: Were they based on property, staff, or amenities? Over the course of 3-6 months of being proactive to brand comments on social media channels, you should be able to clearly track and justify all of your efforts. Ultimately, the daily checks and user interactions will improve the quality of the company, making it more accessible to the consumer market. In the end, your team will have phenomenal insight about the brand reputation and using this information you will be able to create very detailed big-picture goals to grow the company.